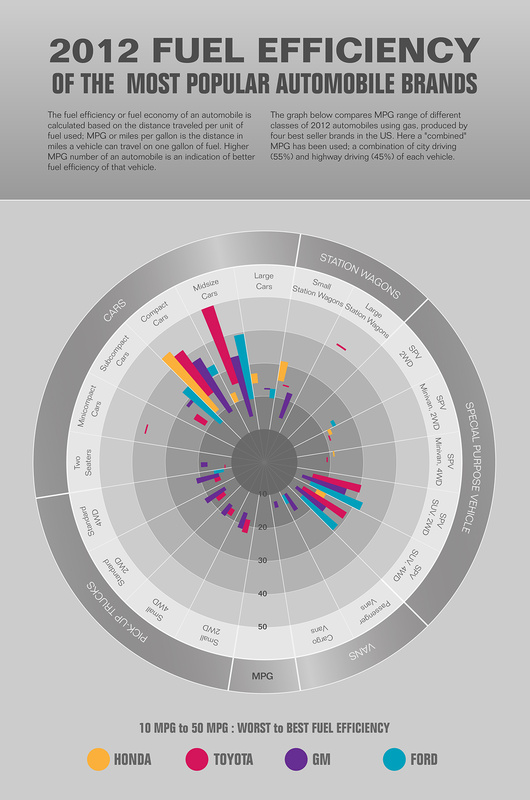 This info-graphic poster compares fuel efficiency of four major car brands. The statistics are based on US department of energy dataset on all car models produced worldwide in 2012. Created using Excel and Adobe Illustrator.